Pirates Start the 2nd Half Looking to Make Moves in the NL Central Standings | Where Have You Gone Andy Van Slyke? Pittsburgh Pirates’ MLB Season 2017 is the team’s 136th season overall, and the 131st season as a member team of National League, and additionally their 17th season at their home stadium at PNC Park since 2001. The team has played in National League since 1887 and Central Division since 1994. The franchise was born on October 15, 1881 and since then they have won 5 World Series Championships. Their main rivalry has been Philadelphia Phillies, especially in the National League. However, within the Central Division, they have been a consistent rivalry with St. Louis Cardinals, Cincinnati Reds, and the Chicago Cubs, and their intense rivalry continues to play in Pittsburgh Pirates MLB Season 2017 depending upon their competitiveness. 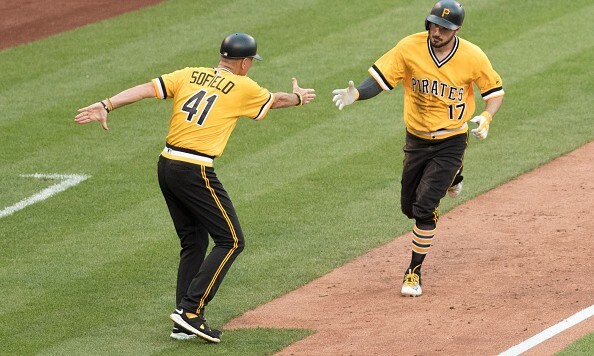 Their lineup for this year’s season included Adam Frazier (LF), Andrew McCutchen (RF), Startling Marte (CF), Gregory Polanco (DH), Francisco Cervelli (C), David Freese (3B), Josh Bell (1B), Josh Harrison (2B), Jordy Mercer (SS), and Gerrit Cole (SP). The awards they have received this season so far includes National League Pitcher of the Month in April that went to Ivan Nova, National League Player of the Month in June that went to Andrew McCutchen, and 2017 Major League Baseball All-Star Game that was clinched by Josh Harrison. It has been more than 285 days since Jung Ho Kang has put on the Pittsburg Pirate’s uniform since he was arrested last December for being unable to get hold of a work Visa were rejected the United States Embassy. It is more likely that he will be able to play for the Pirates in the next season if his visa issues are resolved. Therefore, with his absence, the team’s general manager, Neal Huntington has set his eyes on the versatile Josh Harrison and the veteran David Freese as the franchise’s primary third baseman. You can look here to get https://www.feefreeticket.com/mlb-tickets Pirates tickets without fees at very good prices. The veteran (3B) signed with the team a two years contract last summer has displayed his skills with a .244 /.374 /.362 batting line through with his 1st 262 trips to the plate this season. After grading the team’s first half season, it is a good analysis to make a forecasted guess of who has been Pirates’ MVP so far. They need to perfectly challenge the Chicago Cubs for the top of the Central Division given that they are without a doubt a second place team. Jung Ho Kang issues are being felt in the lineup and the former MVP, Andrew McCutchen is expected not to disappoint this season. Josh Harrison was seated at the front row during the Tuesday night in the 88th All Star Game. Harrison who is a two time All Star played in the National League’s final five innings that ended 2 – 1 loss against Ervin Santana’s in the 6th and Graig Kimbrel in the 9th respectively. Harrison who played quite flamboyant colors on the diamond, wearing different colors of shoes, one white and the other gold, as well as multi colored arm bands. The All Star Game was attended by an estimated sellout crowd of 37,188 to carry no playoff repercussions since 2002 in the 11-inning tie. Pittsburg Pirates towed into the All Star Game break at 42 – 47, that was 7 games behind Milwaukee Brewers. Josh Harrison was in Miami for the All Star Game because he was a commissioner’s selection. In this year’s All Star Game each league’s manager did not round out the roster, but the choice was reserved to the Major League Baseball commissioner’s office to select four pitchers and three position players from the National League players, as well as one position player and four pitchers from the American League players.